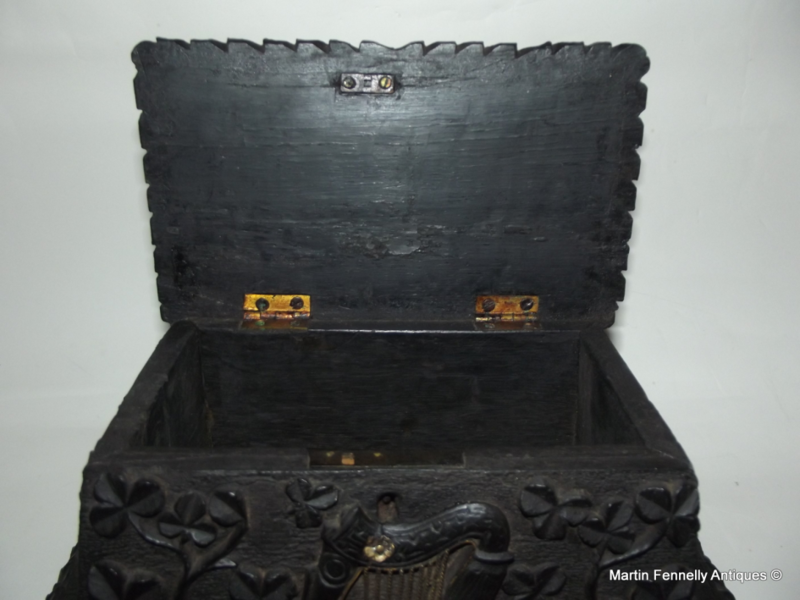 This Piece of Irish history is a Rare Hand Carved Bog Oak Casket, mid Nineteenth Century. 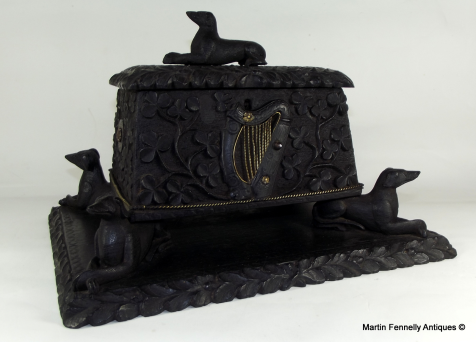 The Exquistely Carved Casket with finely Carved Shamrocks and Harp is is a true piece of Irish History Circa 1870 (possibly Goggin of Dublin. 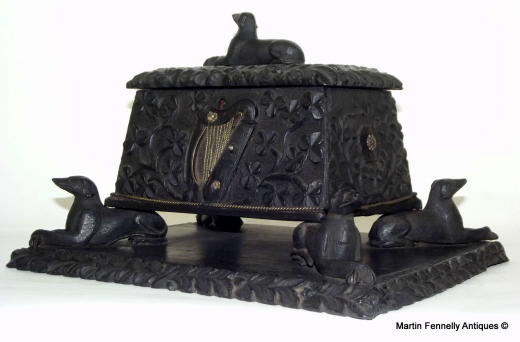 The Casket which is topped with The Regal Irish Wolfhound is supported by 4 Woldhounds standing guard and themselves representing the four Provinces of Ireland all raised on a Bog Oak Base. My Store has housed some amazing Irish Pieces but this wonderful Casket is right up there with some of the most beautiful and rarest that Ireland has ever seen. 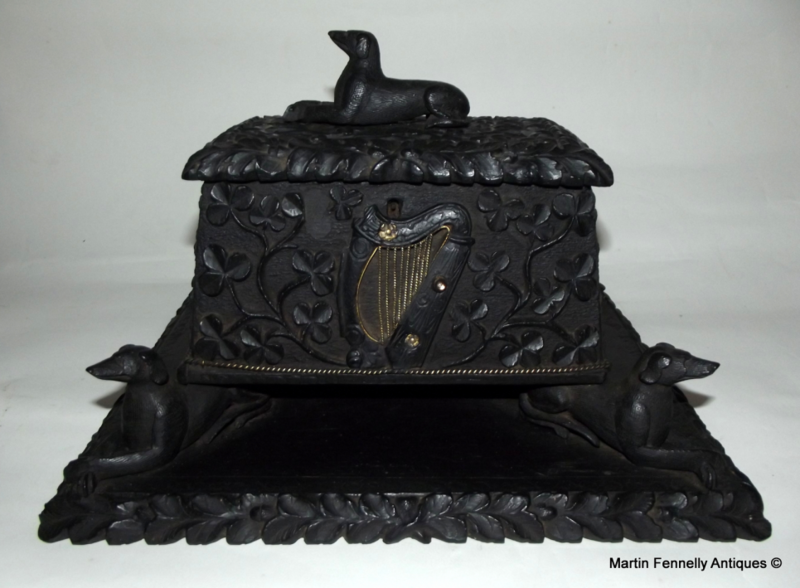 Condition: Good condition with a few bumps that you would expect with something 140 yrs old, nice original surface patination. 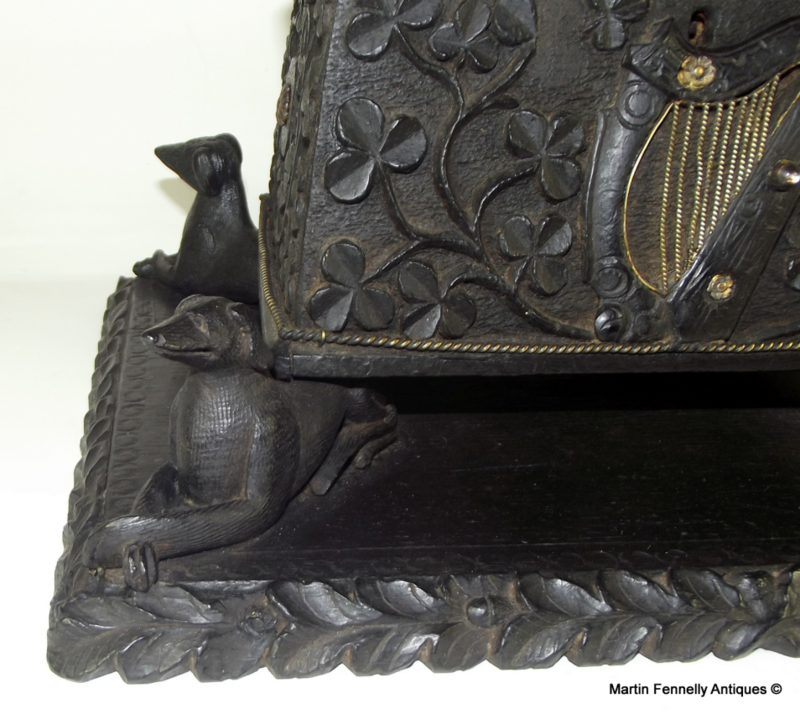 Lock is present key is lacking.